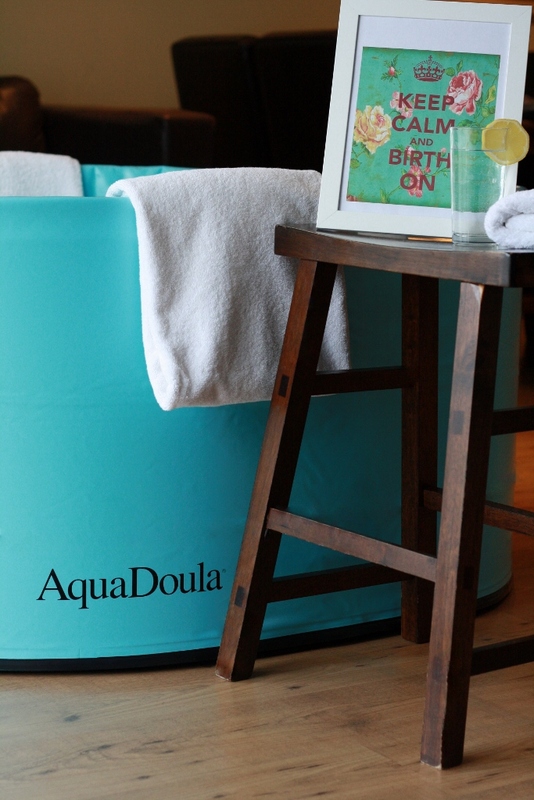 An Aquadoula Birth Pool is the original heated, portable spa developed specifically for labour and water birth. It’s the Cadillac of birth pools!! 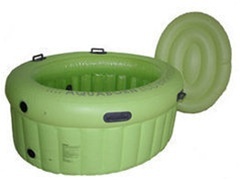 Aquaborn and La Bassine Birth Pools are inflatable pools, very comfortable and easy to set up and break down. The rental fee is $175.00 (this includes a $100 non-refundable deposit at the time you reserve your pool). All pools come with a floating thermometer, a tap adapter, food grade water hose, a submersible pump and another hose to drain the birth water from the pool, disposable liner and tarpaulin (tarp) to protect the area underneath the birth pool. We will deliver to you and pickup for an additional $50 charge; set up instructions are included with the rental. We will also set up the birth pool upon delivery and drain and pack up the birth pool within 24 hours of the birth at an additional cost. The rental period is 5 weeks. We recommend getting it from your 37th week of pregnancy. Our delivery areas are: Vancouver, Richmond, Whiterock, Tsawwassen, Ladner, Delta, Surrey and Coquitlam. An additional fuel fee will be added for addresses outside of our delivery area. Placing a pool of water in a birth room changes the atmosphere immediately. Voices get softer, the mother stays calmer and everyone becomes less stressed. The effect of buoyancy that deep water immersion creates allows spontaneous movement of the mother. No one has to help the mother get into a new position. She moves as her body and the position of the baby dictate. Movement helps open the pelvis, allowing the baby to descend. When a woman in labor relaxes in a warm deep bath, free from gravity’s pull on her body, with sensory stimulation reduced, her body is less likely to secrete stress-related hormones. This allows her body to produce the pain inhibitors-endorphins-that complement labor. Noradrenaline and catecholamines, the hormones that are released during stress, actually raise the blood pressure and can inhibit or slow labor. A laboring woman who is able to relax physically, is able to relax mentally as well. Many women, midwives, and doctors acknowledge the analgesic effect of water. Thousands of these mothers state they would never be able to consider laboring without water again.